To mark the 50th anniversary of the legendary Cheltenham Gold Cup clash between Arkle and Mill House in 1964, Channel 4 will broadcast a one-hour documentary titled Arkle – The Legend Lives On. Broadcast the night before the 2014 Cheltenham Gold Cup – Thursday, March 13th at 23:00 – the documentary takes a look at that momentous occasion and reflects on a golden era when Arkle changed the face of jump racing. It also examines how the legend of Arkle has grown over the past half century and draws upon comparisons with today’s great chasers. All surviving connections associated with the great horse are featured within the documentary from his work rider Paddy Woods; to head lad Johnny Lumley; Jim Dreaper, son of trainer Tom Dreaper; Cath Walwyn, wife of the late Fulke Walwyn; Alison Baker, breeder of Arkle and Stan Mellor, one of the few jockeys ever to have beaten Arkle. The documentary also features 95-year-old broadcasting legend Sir Peter O’Sullevan, whose evocative commentaries on Arkle’s three successive Gold Cups from 1964-1966 perfectly captured those thrilling occasions. Other contributors to “Arkle – The Legend Lives On” include Brough Scott, Hugh McIlvanney, Ted Walsh, Nicky Henderson, Paul Nicholls, racing analyst Donn McClean and Senior Irish National Hunt handicapper Noel O’Brien. Arkle – The Legend Lives On was commissioned by Channel 4’s Jamie Aitchison and produced by Touchline Media – makers of the Jump Boys documentary which was shown on Channel 4 last year – and narrated by Alastair Down. Arkle – The Legend Lives On is sponsored by the Racing Post who also support the Racing Post Arkle Challenge Trophy Steeple Chase run at the Cheltenham Festival on the opening day, Tuesday March 11th at 2:05pm. Luke McManus, Director of Arkle – The Legend Lives On, says: “Never before or since has a horse so powerfully captured the public imagination and become a symbol, not just of success, but of hope. The story of Arkle is uniquely fascinating. He came to prominence in the 1960, at the time of JFK, the Beatles, George Best & Muhammad Ali. 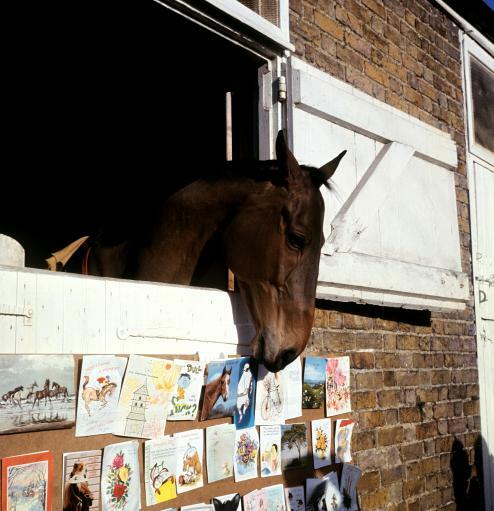 Just like them, Arkle was sublimely talented, charismatic and ultimately, iconic. In Ireland, Arkle still inspires devotion. As Brough Scott says in the film “It’s much more than just a racing story…it’s about a nation yearning for something”.